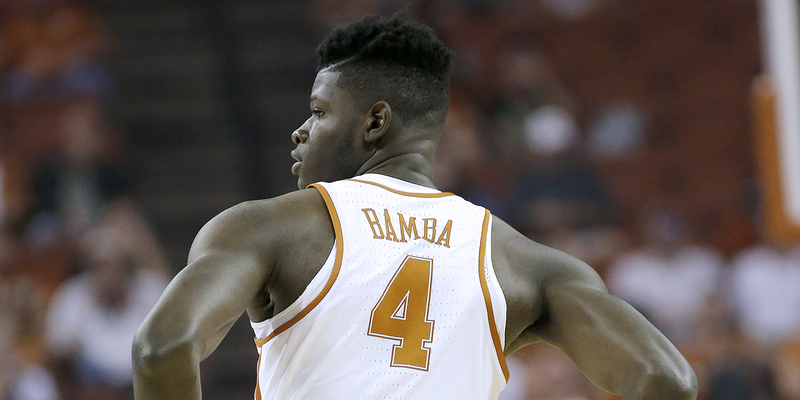 Mo Bamba is a dominant college defender, with an enormous wingspan and the stats to match. But what does that tell us about his chance of NBA success? In the middle of the 2011-12 season, my second full-time year with the Blazers, we traded for Hasheem Thabeet. The goal certainly wasn’t to acquire Thabeet — it was only his third year in the NBA, but it was already clear Thabeet was not going to live up to his selection as the #2 player in the 2009 draft. His 4th-year team option had been declined, making him a free agent at the end of the year, so Thabeet was simply a throw-in to match salary as part of a larger trade. But since our season had unraveled, we took the opportunity to see up close what Thabeet was like. There was a revealing moment in practice not longer after Thabeet’s arrival. Thabeet was playing at the lackluster pace he had shown in every practice since we’d acquired him, and during one drill he gave up an offensive rebound and then didn’t challenge a putback dunk. One of our assistant coaches had seen enough. He jumped onto the floor from the sideline right into Thabeet’s path. There was a moment of awkward silence in the gym and then the drill continued. Nothing noticeably changed in Thabeet’s play — that day, or the rest of the season. In the summer he signed with Oklahoma City for close to the minimum, and when that contract was done so was his NBA career. Thabeet didn’t have a competitive fire. He didn’t like basketball. He didn’t want to be in the gym. His career was on life support and he still wasn’t playing like he should. And it’s easy to look back and point to those missing character traits as the reasons why Thabeet wasn’t the dominant defensive center he was billed to be. But that’s not the full story. As a junior at Connecticut, his last year in college, Thabeet ranked 6th in the nation in block rate, anchoring the country’s third best defense (according to KenPom). Was he competitive then and suddenly lost it when he was drafted? That seems unlikely. So while it may be true that the reason Thabeet failed was a lack of competitiveness, that’s skipping past an important lesson that we can draw from his career: being a dominant defensive center in college is no guarantee of being a great NBA defensive center, or even a good one. You need something more — and Thabeet didn’t have it. In college, being seven-foot-three was good enough. In the NBA, you have to be seven-foot-three.